This Saturday, September 1st, marks a very special occasion. Twelve months of blogging, oh my. It gives me cause to look back and trace the journey. Twelve months ago, I was fresh out of college, sitting down at my computer to start a career as a freelance writer/editor. I was finishing up the messy first draft of a 100,000-word children’s novel. Since then, I’ve picked up work as a tutor in addition to accepting freelance projects. The novel is now in its 3rd draft and is 25,000 words shorter. I’ve made new friends in the blogosphere and learned to use Twitter and Goodreads. In the last 12 eventful, rocky, sometimes nail-biting months, I’ve also learned a few things. I remember rewriting my first blog post probably ten times. I was too nervous to share an imperfect work with the world. Now, whether I like it or not, I don’t have time to make each post perfect. Aunt Josephine tries to make sure my content is grammatically error-free, but sometimes my ideas come out half-baked. I guess that’s part of growth–admitting that not everything you do is perfect. My first batch of blog posts were mostly academic. I stuck to writing about books, teaching, and the employment crisis of twenty-somethings. I thought I could only contribute what I knew. In December, though, I took a leap of faith and wrote about grieving during the holidays. Since then, a friend pointed out, I’ve invested more of myself into my posts. Books, Reading, and Writing are still some of my biggest labels, but if you read the sidebar, you’ll now notice topics like Caregiving, Conflict, and Singleness joining the repertoire. These posts, while sometimes raw, challenge me to honesty in my writing. Thankfully, that doesn’t appear to be the case. I’ve recently been honored to receive 2 blogging awards: One Lovely Blog and Very Inspiring Blogger. Many thanks to my friend Ellen V. Gregory, an Aussie writer who muses about books, writing, and occasionally cats, for passing them on. And now I must nominate 15 other lovely bloggers for these awards. I’m going to break the rules again. I’ll give a shout-out to a few blogs I’ve especially enjoyed reading lately, but if you want to play, leave me a comment! I think you deserve the chance. Bekah Graham (Word-of-the-Day Toilet Paper), Rabia Gale (Writer at Play), Tami Clayton (Taking Tea in the Kasbah), Angela Wallace (Elemental Magic), and The High Calling (Everyday Conversations about Work, Life, and God). Here’s to another twelve months of blogging! 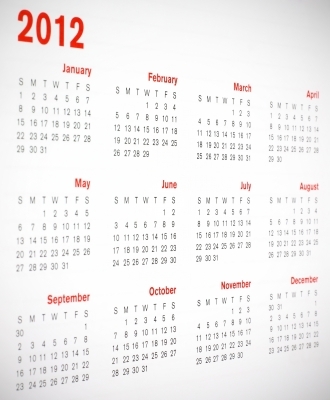 What have the last 12 months held for you? Although I was blogging on and off (mostly off) for the past couple years, I still consider my current blog the real deal. It’s only been up and running since early this year, so no milestone Anniversary for me.You however have a lovely, inspiring place over here, Alina (hence your lovely new awards!) I feel especially heartened that you mention getting over the need to rewrite posts multiple times. I’m wired to re-write EVERYTHING, even post-it notes to myself, so I’m definitely aspiring to be where you are on this annoying little compulsion :-DWishing you all the best with you *Words*. Wow, editing your post-its?? Now THAT’S dedication! I really enjoy your blog as well 🙂 Thanks for stopping by! Congrats on your blogiversary, Alina! And many, many thanks for the mention. I always enjoy reading your lovely prose. Here’s to another year of sharing your beautifully written thoughts with us. Aw, thanks, Tami! Real compliments, coming from a writer as talented as yourself! In the last 12 months my husband got a new job, sold out house, moved from Vermont to Virginia. My children had birthdays and leaped into new stages of development. I got to know new people, polished up my blog, wrote several shorter works, and started self-publishing.It’s been a busy year, now that I look back on it. Congrats on the blogiversery, Alina! And many thanks for the shout-out! It reminds me I should really go and post on that blog again, haha…Upkeeping two at once has definitely been more than I bargained for. 😛 Always fun reading your posts; keep up the good work! Wow, multiblogging! So classically Bekah 🙂 Thanks for stopping by to visit! “You’ve come a long way baby! !” I feel a celebration opportunity coming on…Congratulations on not allowing a spirit of fear dampen your writing adventures, and blessings for many, man more decades of adventuring! Wow, decades?! Let’s start with a little bit first 🙂 I’ll take any opportunity to celebrate! Congratulations! Indulge in a well-deserved celebration. It’s been wonderful reading your blog and getting to know you. Thanks, Elizabeth! I’m honored. Same to you! Congrats! It’s encouraging to see a fellow blogger reach a milestone. Thanks for sharing about it. Celebrate! I’m glad my personal partying encourages you, Janice 🙂 I look forward to the time, a few months from now, when all the WANA blogs start celebrating blogiversaries too! Happy blogiversary. I have really enjoyed watching you develop from your school-paper voice into a more personal voice. May you have many more blog filled years to come. Audry, you wrote a comment!! I’m so honored. Gee, maybe I should make up more events to celebrate. I’m just basking in compliments and good wishes over here 😛 Thanks! Congratulations on the anniversary, Alina – and it’s a pleasure to pass on the blog awards. Here’s to another year of happy blogging!